I’m watching the performance on Xarabank and thinking ‘why on earth do people do these things?’ In my world, men would probably expect to be shot for crying in public, and right there now there are two men deliberately making an effort to wrench up tears for the cameras as a dramatic emotional statement because they think it’s attractive. What a country. What a country. An Opposition leader who wells up when he hears daddy speak. An Opposition leader’s father talking about his 50-year-old son as though he’s five years old. And people thinking this is normal behaviour. Now we are hearing about the marriage and children – for all the world as though 80% of Xarabank’s audience is not made up of married or once-married people with children, when all the single childless people are out on a Friday night. 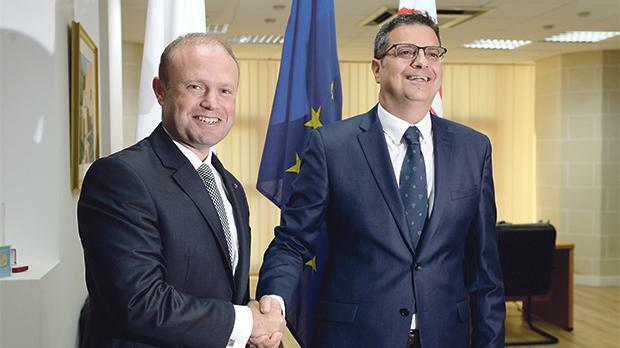 Malta is turning into a circus. The only thing we need to know about the Opposition leader is whether he’s fit to run the country and how he plans to run it. We don’t need to see him in his vest on a Sunday morning or flipping burgers on a barbecue. And why was the wedding mass in English when the groom’s side of the family can’t speak the language? It strikes me as very bad manners. It’s going to be a walkover.